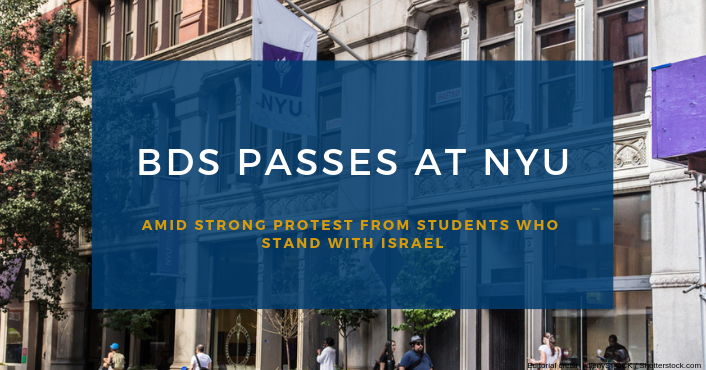 A resolution that would have NYU divest from companies associated with Israel and institute a socially responsible investment policy passed on Thursday. Of the 63 members of student government voting, 14 abstained, 14 voted no and 35 voted yes. The students came to see the result of the “Resolution on the Human Rights of Palestinians,” presentedby Senators at-Large Rose Asaf and Bayan Abubakr and Alternate Senator at-Large Leen Dweik. Six students for and against the resolution spoke at the meeting, with each one allotted two minutes time.